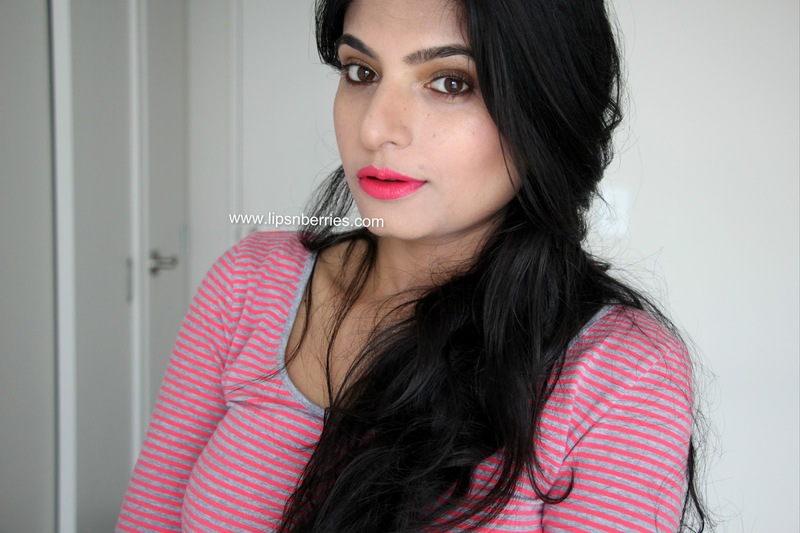 Sleek MakeUP True Color Lipstick in 'Candy Cane'! A dupe for MAC Party Parrot & Impassioned? | LIPS n BERRIES! 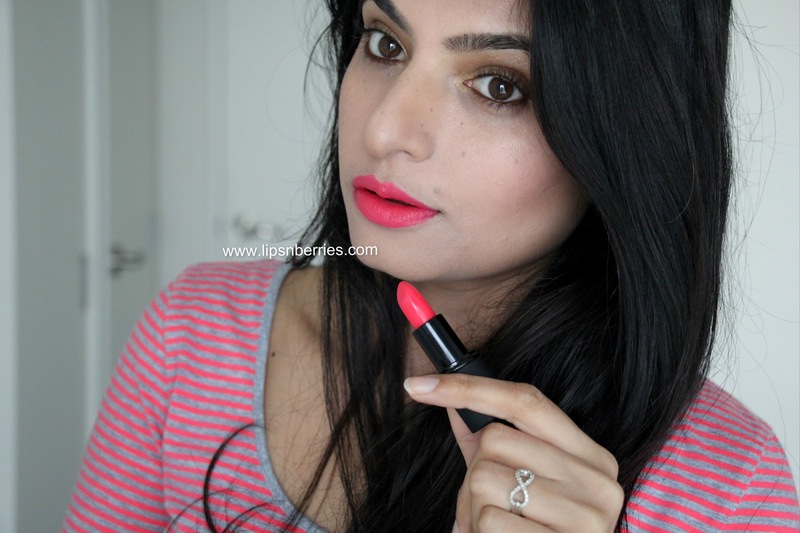 Sleek MakeUP True Color Lipstick in 'Candy Cane'! 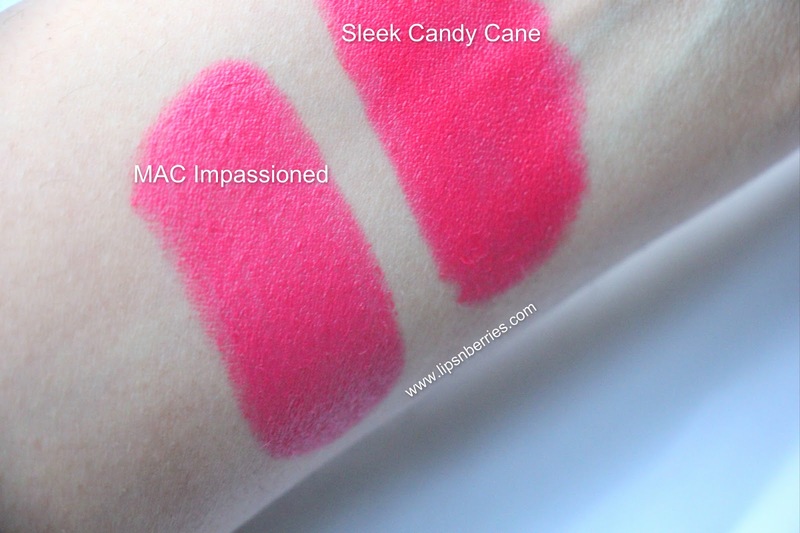 A dupe for MAC Party Parrot & Impassioned? 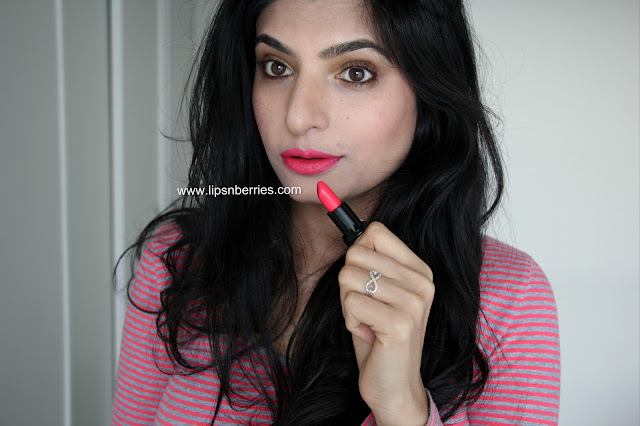 My dearest Renji from Makeupholic World gifted me a lipstick when we first met. I tried it on 2 week later! 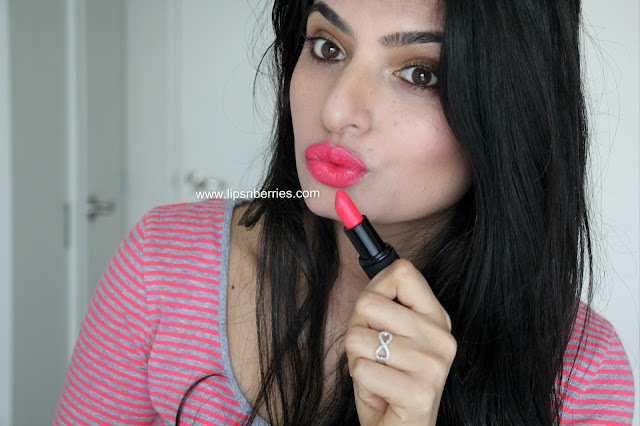 Its a blogger thing..Don't put lipstick on until its photographed ! !And I instantly regret the 2 weeks wasted. 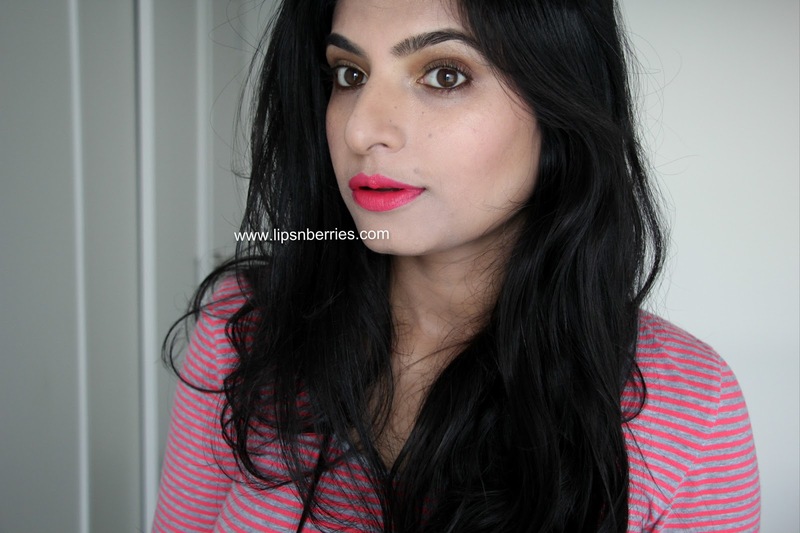 This is easily my best lipstick shade to date. And I have a fair bit to be honest! 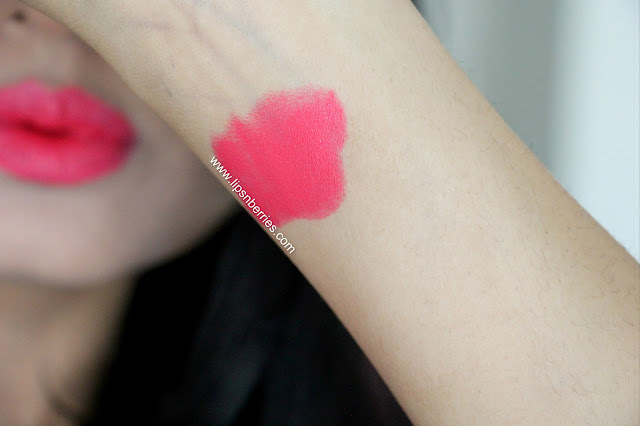 Then someone suggested it's a dupe of MAC's Party Parrot lipstick. THE ICONIC PARTY PARROT!! 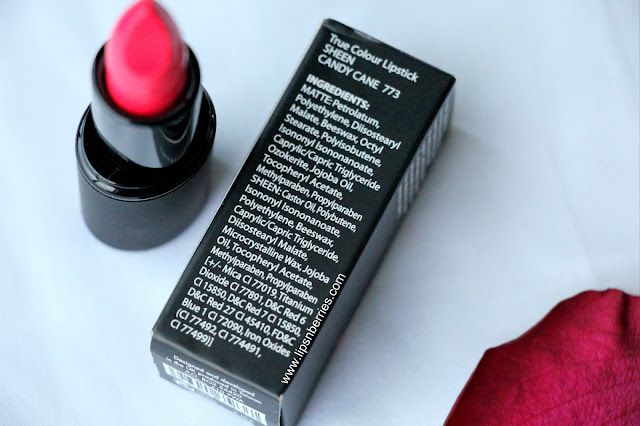 The Limited Edition lipstick that comes and goes and has everyone in hysterics! When will MAC make it permanent? Anyways, I don't own party parrot to compare them both but nevertheless Sleek Candy Cane wants me to go crazy when Party Parrot releases next. Such a stunning pink! Looks beautiful bright pinky coral during day and warm coral in night light on my NC 32-ish skintone. Its more like a mash of red, coral and pink! And bright..so so bright! And its pretty hard to photograph too. 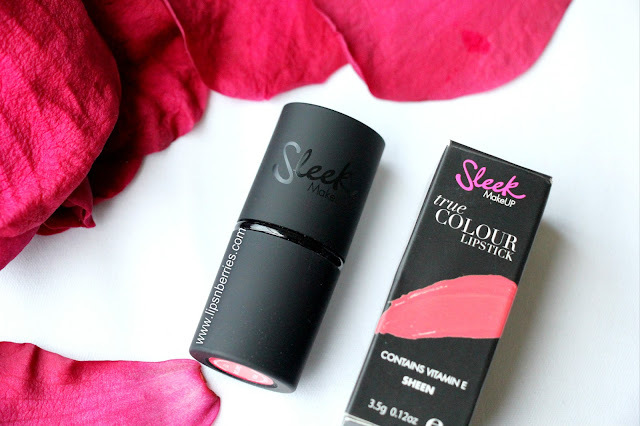 A perfect shade for spring/summer! Glossy but doesn't stay that way after a few hours. It stains heavily. My lips stay pink till next day even after exfoliating them with bubblegum lip scrub. You know it's stubborn when next morning flatmate asks if you slept with makeup on. Hell no!! I don't have Party parrot to compare but look MAC Impassioned and Candy Cane are like sisters. 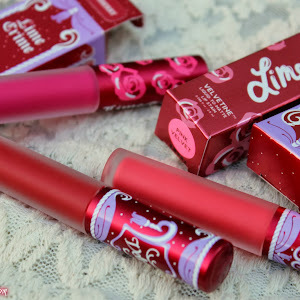 Candy Cane has more coral tones in it whereas Impassioned leans towards pink. 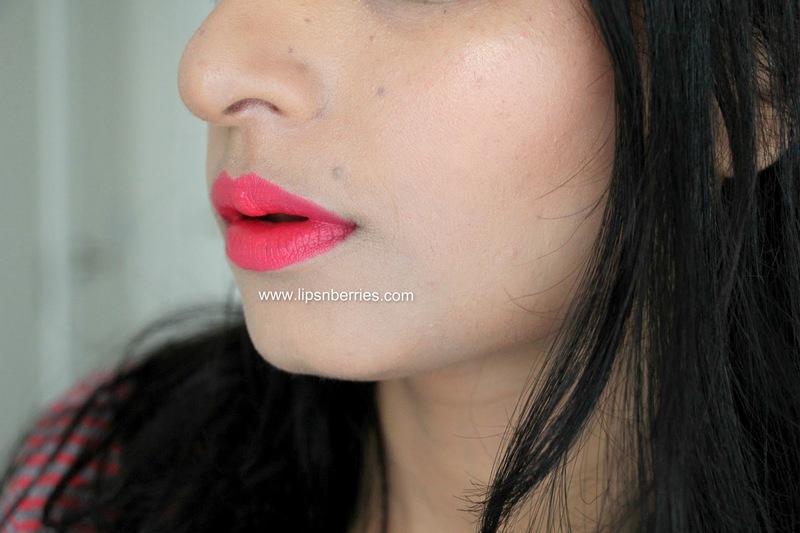 Its even more pigmented than Impassioned. Rich color in single swipe! 100% Recommended! 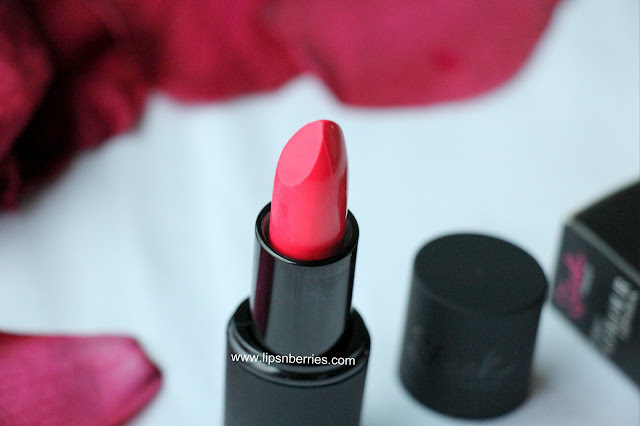 This has made me look into other Sleek lipstick shades from their Sheen range. 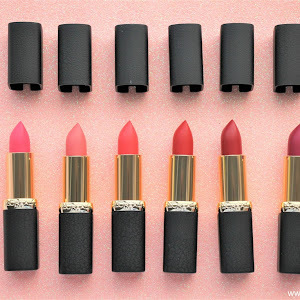 I've never thought anything about their lipsticks. It's always been about their eyeshadow palettes for me! But I'm going for more. Are you with me? Is this your kinda pink? Do you own anything from Sleek MakeUP? Any recommendations for me? 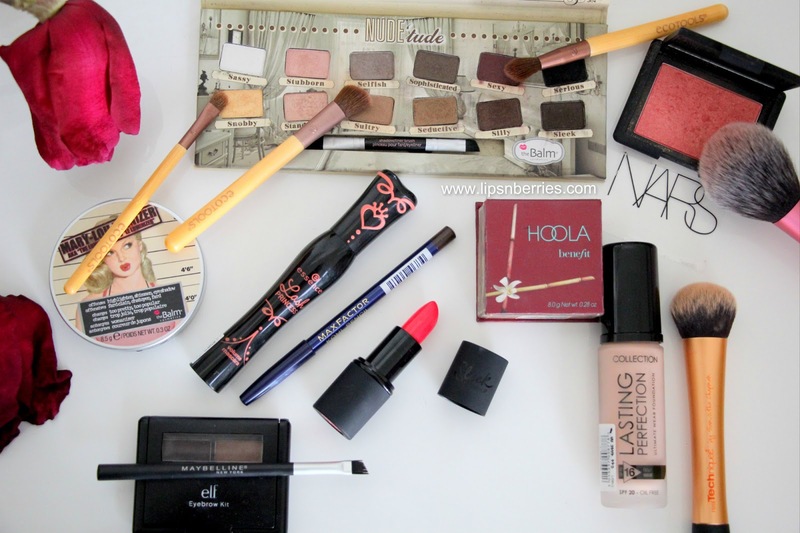 I used Collection Lasting Perfection Ultimate Wear Foundation. 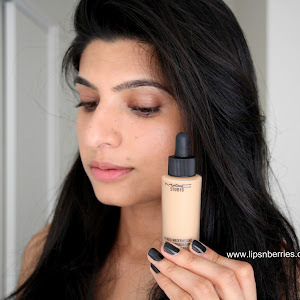 While I love everything about the foundation (oh so long wearing! ), the color '4 Warm Beige' is so not beige. It's cool toned. Like how? 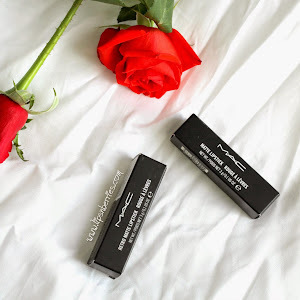 Would you like to see a full review on it?